RAPID CITY, S.D. 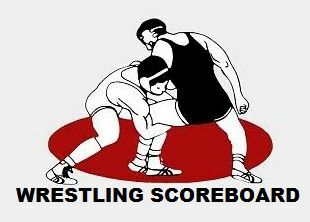 - The Pierre Governors edged out Rapid City Stevens to win the team title of the Rapid City Invitational Saturday. The Governors finished with team score of 194 to win the title. Stevens finished in second just two points behind. Rapid City Central came in third with Aberdeen Central in fourth and Bismarck fell to fifth. Individually, three-time champion William Turman of Pierre captured the 126-pound title with a win over Spencer Stockman of Rapid City Stevens. Stevens did capture an individual title, thanks to Dane Colischeski, who defeated Wyatt Larsen of Huron at 182 pounds. Sturgis sent two wrestlers into Saturday's action, only to see them drop in the semifinals. Bailey Brengle at 145 finished in sixth place and Joel Carpenter dropped his 220 pound match to Terren Swartz of Thunder Basin, Wyoming.